We have the Cape in Massachusetts. You cross the Bourne and Sagamore Bridges, and you are in another world. The tie and lace up shoes are replaced by T-shirts and flip flops. 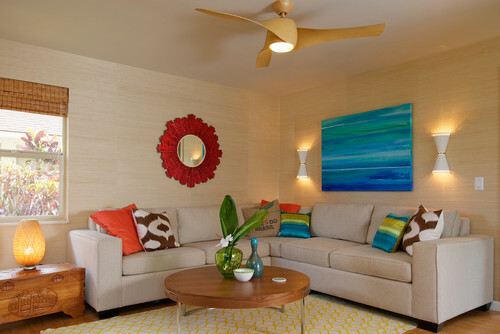 Beach style offers that informal and relaxed atmosphere. 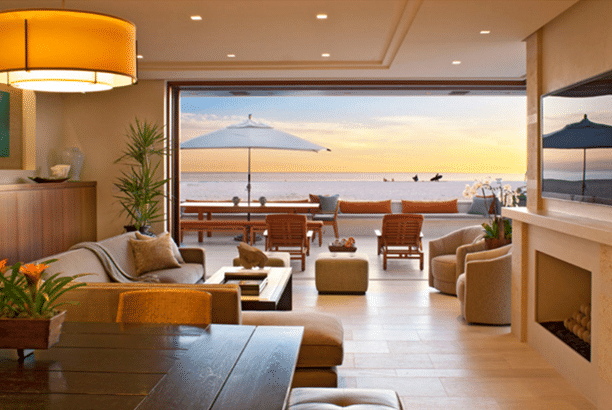 You won't see much formality in a beach house. 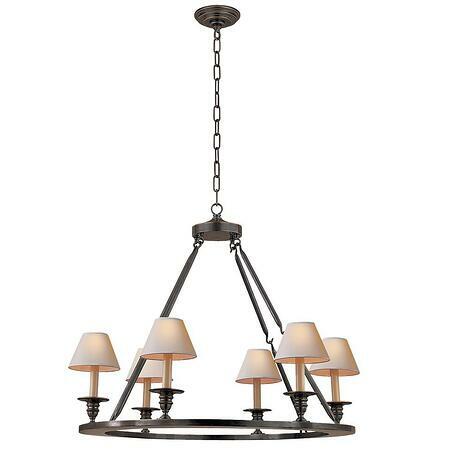 So, you would think formal lighting would not be a good idea. 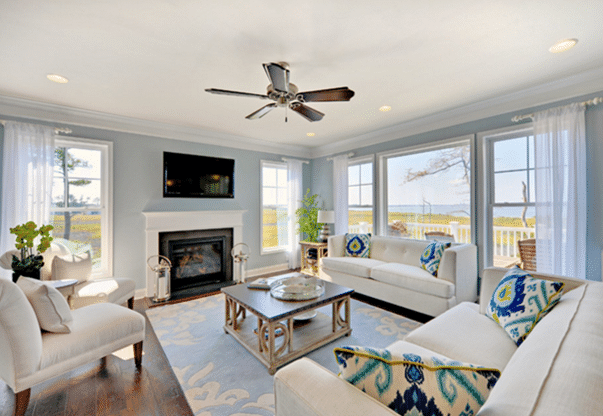 Here is an example of a ceiling fan and recessed lighting combination. 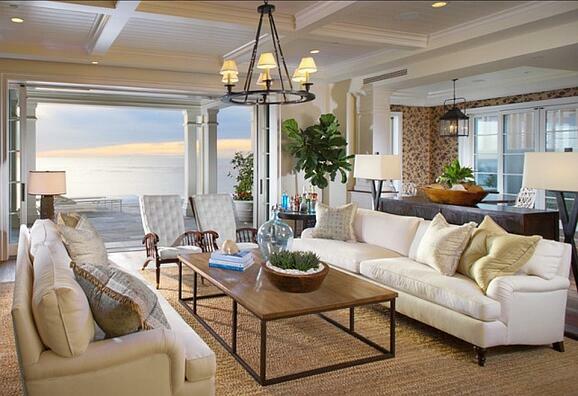 This picture is a great example of what you can do for a combination of lighting in your beach style living room. 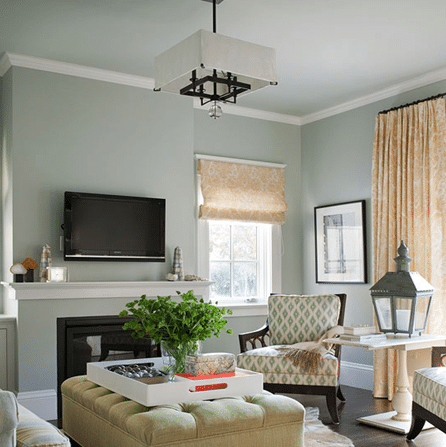 In this picture, they are using a ceiling fan which will keep the room cool and recessed lights to provide the general lighting in the room. 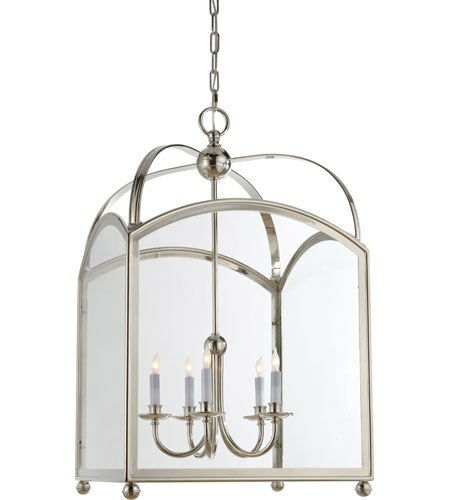 You can also add a couple of wall sconces for additional lighting if needed. Lamps can be used for reading as necessary. 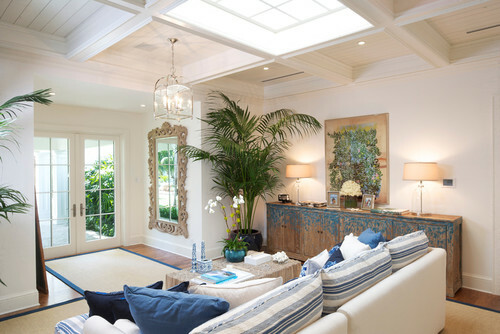 Below are some lighting ideas that can be used in a beach style living room. 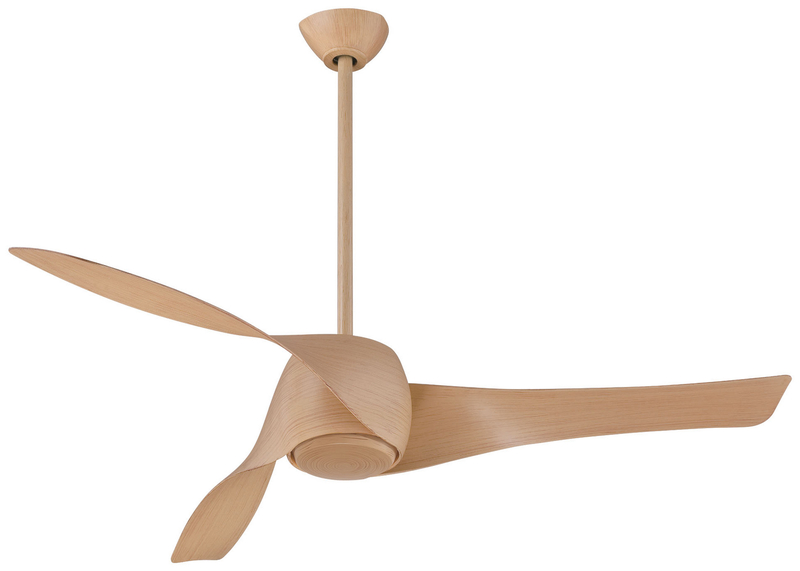 This Minka Aire fan would look great in a living room by the beach. 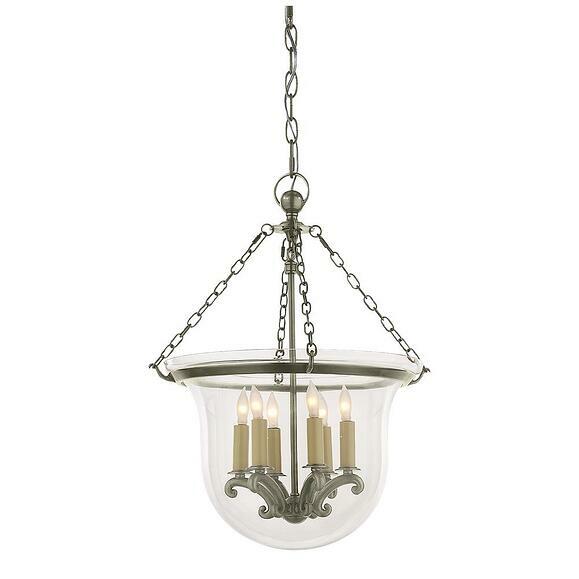 This beautiful light fixture by Visual Comfort is available in 2 sizes. 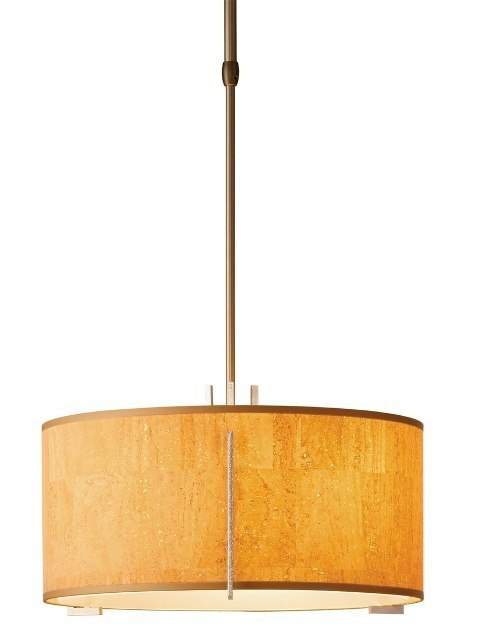 A 20” diameter as well as a 15” diameter. 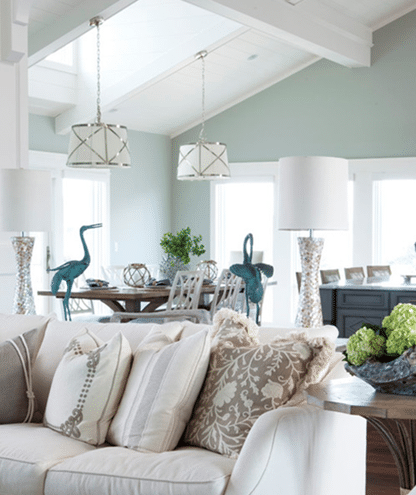 Beach style is a casual, almost Shabby Chic style. 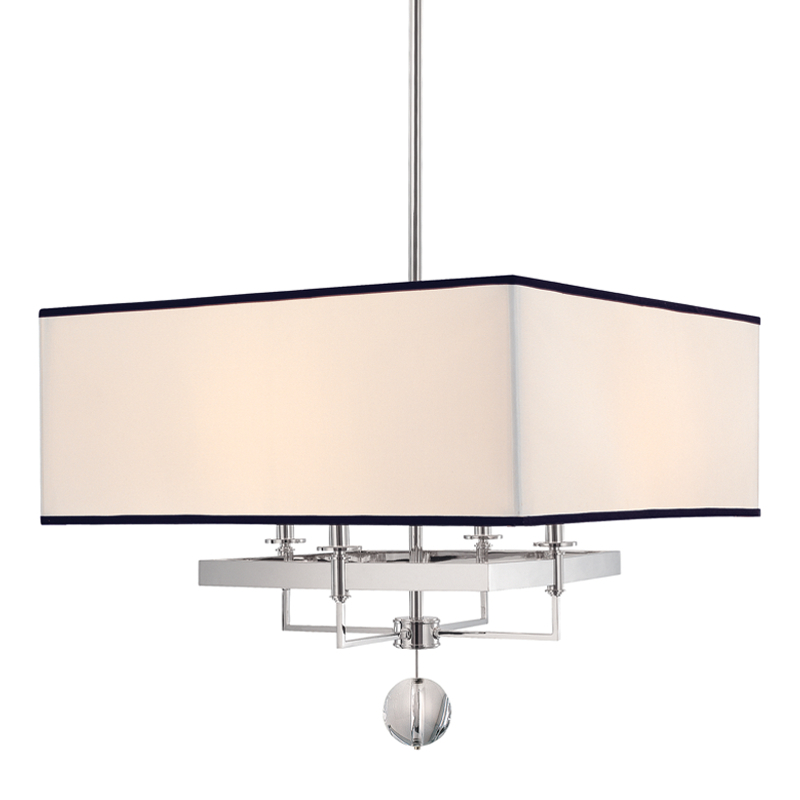 You really don't have to stay with any particular type of fixture, because you are typically combining different elements in the same room. 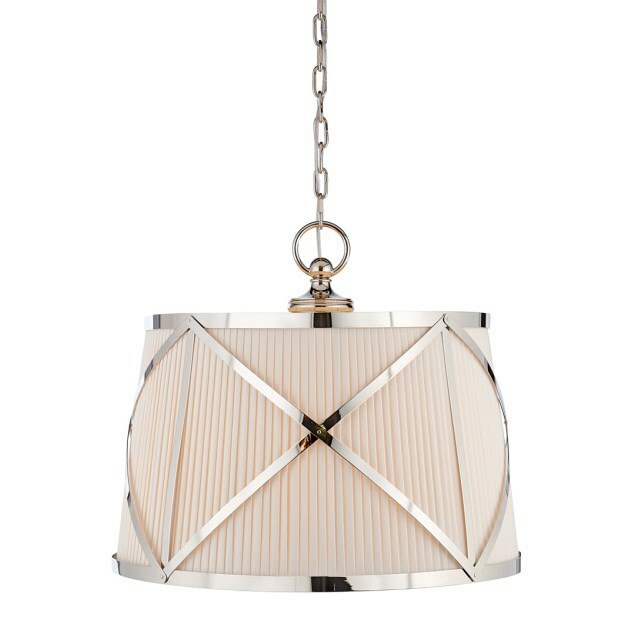 Many of these examples are traditional lights in informal spaces, so have some fun with it.